Microsoft is joining the likes of Apple this week and reporting record number sales for the quarter and the year. This must be the season for big tech companies to post record quarterly earnings. 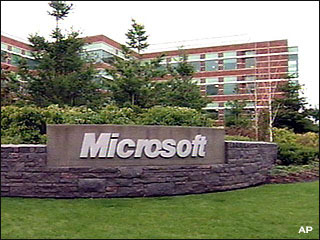 Microsoft (NASDAQ:MSFT) announced a record fourth-quarter revenue of $17.37 billion. Microsoft’s fourth quarter revenue increased 8% from the same period last year, with an annual revenue of $US69.96 billion, a 12% increase from 2010. Net income was $5.87 billion, up 30% from last year. The ongoing momentum of Kinect, Xbox Live and the Xbox 360, the top-selling game console in the United States over the past 12 months, Microsoft said. The Entertainment and Devices division revenuw grew 30% for the fourt quarter, and 45% for the full year, following Microsoft’s announcement at E3 of upcoming game lineup and Xbox Live content partnerships. Despite these record breaking numbers, Microsoft stock prices have continued to disappoint investors. Microsoft stock prices are up just 8% over the past 12 months, compared to a 30% rise in the Nasdaq composite index.